Stakeholders in the financial market have called for optimum collaboration between the federal government, regulatory authorities and operators in various sectors to drive the nation’s economy for suitable growth. The stakeholders who spoke at the Nigerian Stock Exchange (NSE) Bloomberg CEO roundtable themed, “Reshaping the Nigerian Economy for sustainable growth: Leveraging the fourth industrial revolution as a catalyst for advancement”, held in Lagos on Tuesday, categorically stated that Nigeria is far behind peers in the implementation the fourth industrial revolution. However, the stakeholders argued that with total collaboration, Nigeria would benefit from opportunities inherent in the revolution, rank at par with other emerging countries and record all-inclusive growth. They maintained that stakeholders needed to work together in ensuring that the country uses technology to solve financial and industrial problems for inclusive growth. Fourth Industrial Revolution (4IR) is the fourth major industrial era since the initial Industrial Revolution of the 18th century. It is characterized by a fusion of technologies that is blurring the lines between the physical, digital, and biological spheres, collectively referred to as cyber-physical systems. The Chief Executive Officer of the NSE, Oscar Onyema stressed the need for the country to tap into industrial revolution and fast-trackeconomic growth and development. Onyema pointed out that most of the world’s developed economies had begun to adapt to the Fourth Industrial Revolution, stressing the need for Nigeria to become part of the revolution. According to him, there was need to foster an economic turnaround and framework that would support industrial revolution and reposition the economy for sustained growth. “The opportunity the Fourth Industrial Revolution presents is unlike any other, as the barriers to entry are low, with an upside that is vast and yet to be quantified. 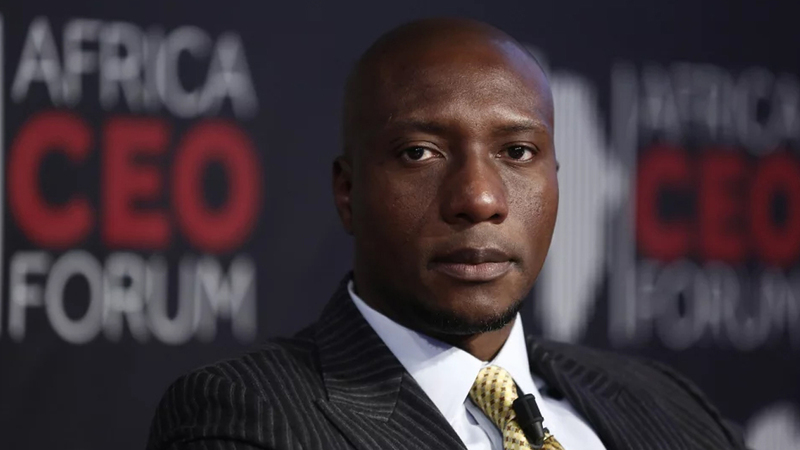 At the Exchange, we consider ourselves to be a forward-thinking securities exchange, and have since begun the advancement of our offerings with the assistance of technology,” Onyema said. He added that the exchange had embraced cloud-based technologies by building its own Data Centre to provide a number of services ranging from cloud computing, storage and database offering and networking, among others. The Director-General, the Debt Management Office (DMO), Ms Patience Oniha stated that technology was critical in driving financial inclusion initiative. Oniha, who was represented by the DMO Director, Portfolio Management, Oladele Afolabi, said that the organisation had leveraged technology to ensure full participation of investors in the savings bond. She pointed out that investors now invest in the savings bond from the comfort of their homes using their mobile phones and personal computers, even as she assured that the DMO would continue to leverage technology to drive financial inclusion. Furthermore, she added that the DMO is currently working with technology experts to make investment easy, noting that the challenges experienced during issuance in the past would not repeat again. The Head, Shared Services Division, NSE, Bola Adeeko said: “Nigeria is starting a bit late in the fourth industrial revolution but there is still much opportunities for us to do the catch up and we have to do fast, again we need to have increased and sustained inclusive growth. We need to grow over time and with technology, which creates democratic and common access. Our role at NSE is to be the advocate of change. The Chief Executive Officer, Paystack, Shola Akinlade, said that infrastructure and human capital development was very crucial to tap into industrial revolution. Akinlade submitted that government and stakeholders needed to invest in human capital to solve the country’s infrastructure problem. “If we increase literacy level of everybody in Nigeria to generate income, it will be easier to tackle infrastructure challenges,” he said.